It is with the utmost sadness that we learnt yesterday that a street in St Gallen, named after a much-loved Afrikaner figure, Paul Kruger, was changed to Friedrich Duerrenmatt Street. Naturally we understand that the Swiss would perhaps prefer a Swiss name, but the false image that councillor Beery painted of the Afrikaner hero, citing his racist and "worse" inclinations, was, to say the least, shocking. More so as Afrikaners are, in the description of Gregory Stanton from Genocide Watch, headed for extermination thanks to farm murders. 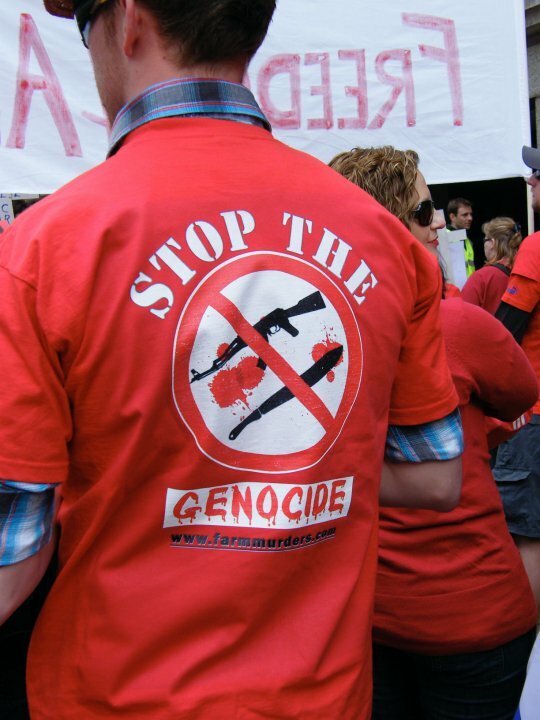 The world cries out about the abuses and farm invasions in Zimbabwe, but around 330 farmers per 100 000 are brutally murdered each year in South Africa. In this climate of racially motivated hate crimes committed against Afrikaners, the unfortunate words of Beery are viewed by the Afrikaner community as sheer incitement to conclude the killing spree. At best her speech was irresponsible, especially because it simply ignored facts about Kruger. It has been well-established that Kruger had excellent relations with several black tribes and was well-liked by a number of black chiefs. A cursory glance at any history book would have made that abundantly clear to the good people of St Gallen. We urge your government to step in to retract the inflammatory remarks against Afrikaners. If the recently elected South African government has faith enough to include an Afrikaner as deputy minister of agriculture, dr Pieter Mulder, the least the Swiss government can do is to show some respect for President Zuma's judgement.